I have worked at different levels within the fitness industry throughout my career. I have 20 years experience working with clients on a 1:1 and group basis. My passion has always been for teaching classes and I love creating a buzz using music, motivation and lots of fun. I have always specialised in pre and post natal exercise and after having my own children and I focused the entire business on helping mums. 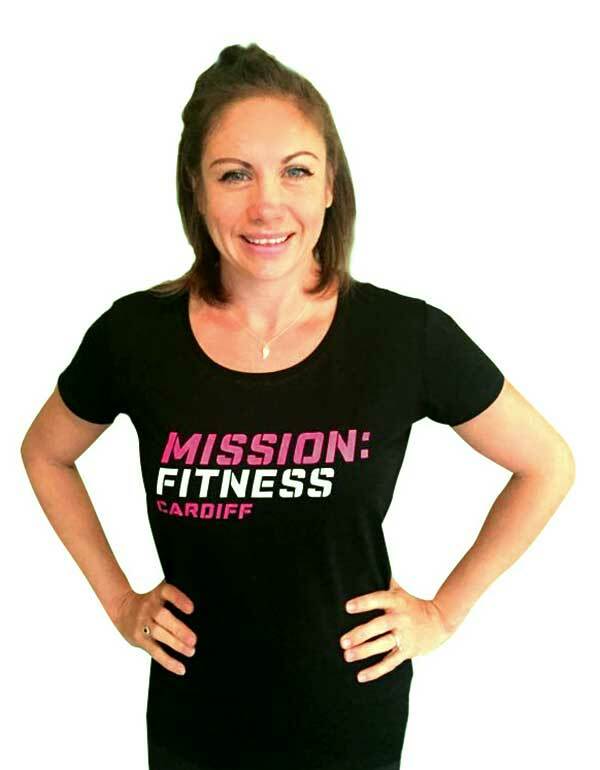 We are the original Buggyfit Trainers that brought Buggyfit and FitMums classes to Cardiff. 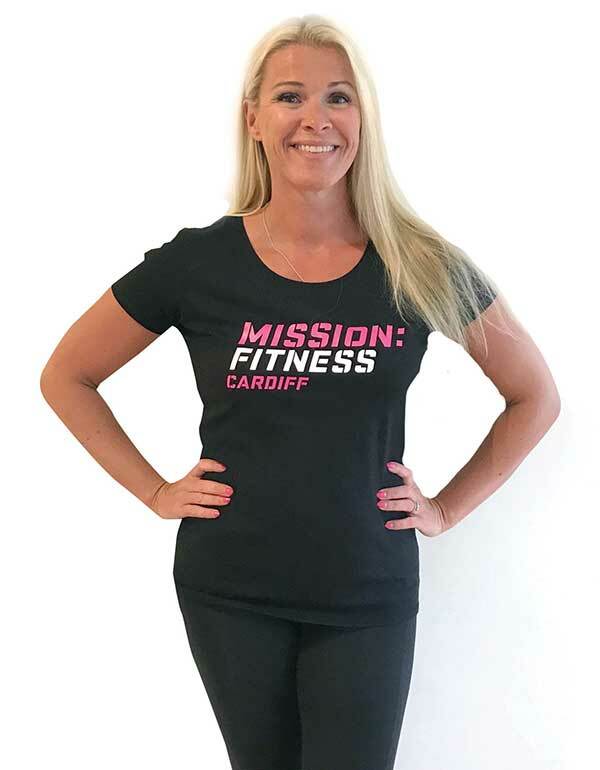 As a joint owner in Mission Fitness Cardiff I am extremely excited about being able to offer our unique style of teaching to even more people across Cardiff. I am one of the minority that love to train! I love attending other people’s classes and particularly love a really tough Bootcamp. I have done a lot of running since having my children and am on my 7th Marathon. If you need a training buddy you can guarantee I will never say NO! In my previous career I was an Operations Manager for an International Recruitment Company, I’d always loved training and keeping fit but really struggled after the birth of my first child to find the time. Buggyfit literally changed my life! I trained with my baby and loved the results, I believed so passionately in the concept that I completed my fitness qualifications and changed my career. I have loved being part of building our business starting with a few Buggyfit classes a week to the variety of classes we now run at Fitmums South Wales. I feel we offer something for everyone and set achievable goals. I want members to improve their fitness and feel the health benefits but mostly…I want them to have fun!!! 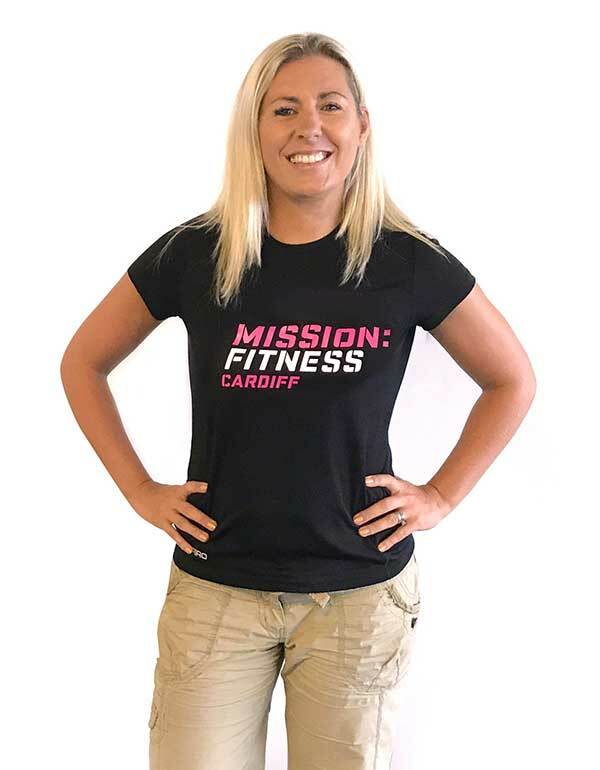 Clare and I are always striving to improve what we can offer and Mission Fitness is the culmination of experience, hard work and a desire to pass on to others the type of training we love to do ourselves! Hi I’m Kat, I’m a fitness loving wife & mum of 3. I’m a FitMum turned FitMum instructor and love running both indoor and outdoor sessions. My personal love is weight led cardio, so weight circuits and kettle bells are right up my street. I believe that exercise can help people overcome many challenges and problems, and love supporting people and getting them on their FITNESS MISSION….See you in a class soon.. I am a high energy, fun loving and motivated mum of two. I have an abundance of energy and bubbles. After having my second child, I came along to my first Fit Mums South Wales Buggy fit class in Roath. I was a full time mum with a baby and toddler, over weight and struggling with finding any time to exercise. After my first class, I was hooked, and that’s how it all started. Within the year I shifted my baby weight, increased my fitness level and achieved my first half marathon. Knowing that I managed to hit my goal spurred me on to change my career, life and get into fitness. I decided to become a fitness instructor with the help and guidance from Clare and Pascale.